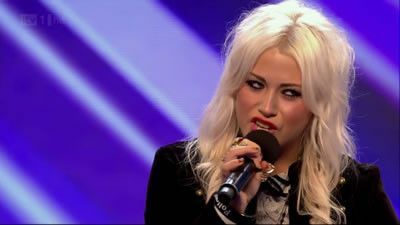 Here's where to watch every episode of The X Factor season 8. Mouseover or tap an episode to see where to stream it. Click or tap the play icon to stream it on the best available service. Auditions 1 Aug 20, 2011 The first set of hopefuls audition in front of the judges hoping to gain a place in the next round of the competition. Dermot is on hand to console those who fail to make it through. 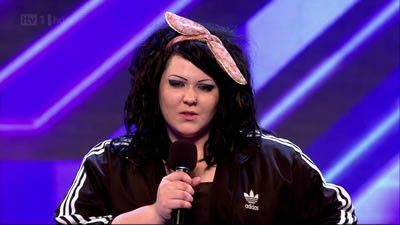 Frankie Cocozza and Kitty Brucknell are amongst the successful acts who manage to make it through to boot camp. Raymond Harding and Wendy Davis fail to impress though and find their hopes dashed at the first hurdle. Goldie Cheung shocks Gary when she gives him a lap dance and ends up making it through to boot camp. Auditions 2 Aug 27, 2011 Dermot O'Leary hosts the second round of auditions, which come from London and Liverpool. Louis Walsh and new judges Gary Barlow, Kelly Rowland and Tulisa Contostavlos are hoping to find talented future stars, but have this week's crop of hopefuls got what it takes to impress them? Strutting their stuff this week are a 45-year-old from Harrow who hopes that this is his chance to shine, a 20-year-old Romeo who professes his love for Kelly and a band whose line-up was finalised only weeks ago. Can they hit the right note with the panel? 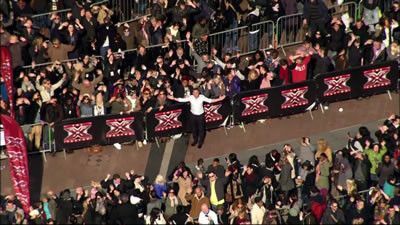 Auditions 3 Sep 3, 2011 Dermot O'Leary hosts the third set of auditions in the search for a new pop sensation. Judges Louis Walsh, Gary Barlow, Kelly Rowland and Tulisa Contostavlos are on the hunt for outstanding talent, but will they find what they are looking for? This week, the tryouts move to a new city, where hopeful performers have lined up for their chance to sing for the panel. Dermot is on hand to celebrate or commiserate with the contestants. Auditions 4 Sep 10, 2011 Dermot O'Leary presents the fourth set of auditions from Britain's biggest singing competition. Judges Louis Walsh, Kelly Rowland, Tulisa Contostavlos and Gary Barlow continue their star search across the country, but will today's crop of hopeful performers be able to impress them? Dermot is on hand to celebrate or commiserate with the contestants. Auditions 5 Sep 11, 2011 Dermot O'Leary presents the fifth set of auditions. Judges Gary Barlow, Kelly Rowland, Tulisa Contostavlos and Louis Walsh are on the lookout for a potential star of the future, but will any of today's contestants live up to the panel's high expectations? Auditions 6 Sep 17, 2011 Dermot O'Leary presents the sixth set of auditions. Judges Gary Barlow, Kelly Rowland, Tulisa Contostavlos and Louis Walsh are on the lookout for a potential star of the future, but will any of today's contestants live up to the panel's high expectations? Auditions 7 Sep 18, 2011 Dermot O'Leary presents the seventh set of auditions. Judges Gary Barlow, Kelly Rowland, Tulisa Contostavlos and Louis Walsh are on the lookout for a potential star of the future, but will any of today's contestants live up to the panel's high expectations? Bootcamp 1 Sep 24, 2011 The successful auditionees head to London's Hammersmith Apollo for the biggest bootcamp ever. Judges Simon Cowell, Dannii Minogue, Louis Walsh and Cheryl Cole will be putting 200 acts through their paces. Who will be able to handle the pressure and stand out from the crowd, and who will be heading home? After this first challenge, only 50 acts can go through to the next bootcamp stage. Host Dermot O'Leary is on hand to offer condolences to the unlucky and celebrate with the chosen few. Bootcamp 2 Sep 25, 2011 Join host Dermot O'Leary for the second in our bootcamp weekend double bill. The 50 remaining acts must perform again in front of an audience of thousands. 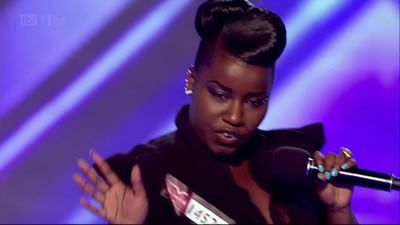 Each singer has been able to practise overnight, and today is their last chance to impress judges Simon Cowell, Dannii Minogue, Cheryl Cole and Louis Walsh. The panel must now start choosing the performers they believe can go all the way. Who will make it into the final 24? Judges Houses 1 Oct 1, 2011 The remaining acts jet off around the world to the judges' homes, where they will battle it out for a place in the final 16. Each panellist is joined by a celebrity guest mentor to help them whittle down the list of acts. Who will make it through to the live shows? Judges Houses 2 Oct 2, 2011 In four locations around the world, it is make or break time for the remaining hopefuls as they find out whether or not they have made it to the live shows. Judges Kelly Rowland, Tulisa Contostavlos, Louis Walsh and Gary Barlow have some big decisions to make as they work out who they are sending to the final 16. Live Show 1 Oct 8, 2011 After weeks of gruelling auditions, the remaining 16 contestants have reached the live rounds. Dermot O'Leary presents the first of the live shows, in which the finalists perform for the judges, the audience and the viewers at home. Gary Barlow is mentoring the boys, Kelly Rowland is looking after the girls, Louis Walsh is helping the over-28s and Tulisa Contostavlos takes charge of the groups. Live Show 1 Results Oct 9, 2011 Dermot O'Leary hosts the live results show in which the finalists find out who is going home. There will be tears and drama as no-one wants to leave the competition in the first week. Plus 2010 winner Matt Cardle returns with the first-ever performance of his new single. 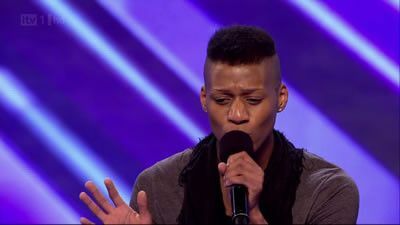 Live Show 2 Oct 15, 2011 Watch all 11 acts strut their stuff as they make their claim to The X Factor throne. Tonight the competition really hots up, and Whitney Houston is a special guest tomorrow night. Live Show 3 Oct 22, 2011 The 10 remaining acts battle it out to win the public's votes and stay in the competition. Live Show 4 Results Oct 30, 2011 Dermot O'Leary hosts the all-new Sunday night X Factor results show, as the nine acts find out the results of the public vote. The two with the lowest number of votes will sing for survival in the final showdown, then it is up to the judges to decide who stays to sing another day and who leaves the competition. Live Show 5 Nov 5, 2011 The battle for the crown continues as the eight remaining acts step onto Britain's biggest stage for the fifth live show. Each of the performers will be hoping to impress the voting audience at home as well as judges Simon Cowell, Cheryl Cole, Dannii Minogue and Louis Walsh. Host Dermot O'Leary will be on hand to deal with the war of words as the judges give their views on each performance and defend their singers. Next time, one act will be leaving the competition. Live Show 5 Results Nov 6, 2011 Dermot O'Leary hosts the live results show. The remaining performers will be on tenterhooks as the results of the public vote are revealed, as the two acts with the lowest number of votes must sing for their survival in the final showdown. Who will judges Simon Cowell, Dannii Minogue, Cheryl Cole and Louis Walsh choose to send home? Live Show 7 Nov 19, 2011 There are only six acts remaining in the competition, and today they must sing live again in a battle to win the biggest prize in pop. Live Show 8 Nov 26, 2011 Theme: "Movie Week"
Semi-Final Dec 3, 2011 Dermot O'Leary hosts the semi-finals. 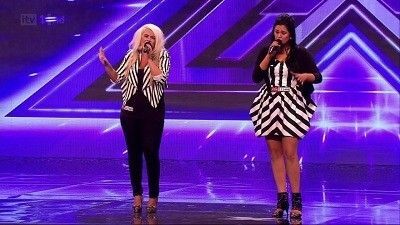 The four remaining act must perform two songs each, and it will be up to them to really sing their hearts out if they are to be in with a chance of making it to next week's final. Semi-Final Results Dec 4, 2011 Dermot O'Leary reveals which performers will have to fight for survival in a sing-off. The bottom two acts will face the judges again, and one will be eliminated, losing their chance of competing in next week's final. Who is going home today? Final Dec 10, 2011 Dermot O'Leary presents the final of the singing competition from Wembley Arena. 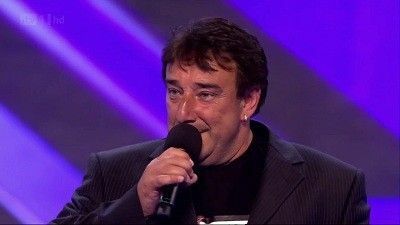 The remaining contestants must perform in front of a crowd of 10,000 in a bid to win viewers' votes and claim the life-changing prize of a recording contract. There are also performances from top international guest stars. With judges Gary Barlow, Kelly Rowland, Tulisa Contostavlos and Louis Walsh. Final Results Dec 11, 2011 Dermot O'Leary reveals the results of the public vote. The two acts left battling for the crown perform what will become the winner's single in front of 10,000 people at Wembley Arena, before they find out who has won this year's competition. Plus there are performances from top international guest stars. With judges Gary Barlow, Kelly Rowland, Tulisa Contostavlos and Louis Walsh.